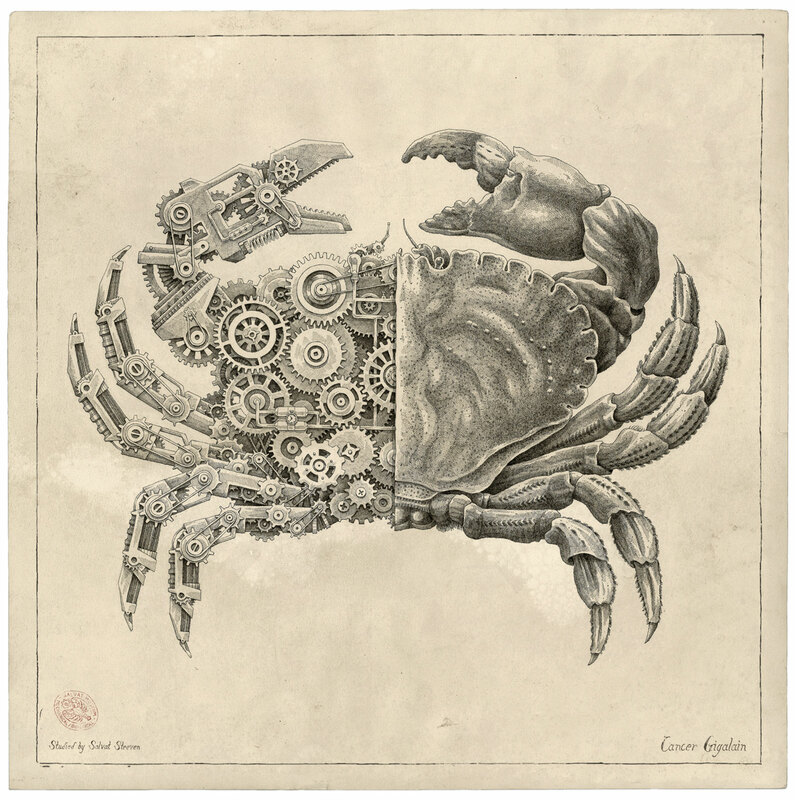 Mechanical shellfish rendered in intricate detail with ink on paper. 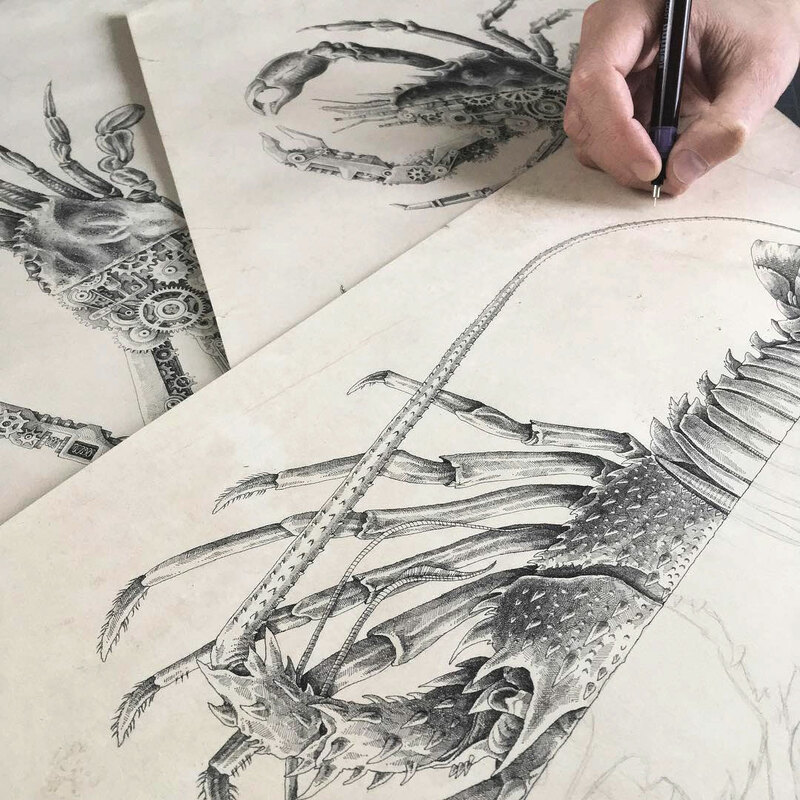 Titled Mechanical/Biological [Crustacean Study], the series of drawings by French artist Steeven Salvat by are inspired by 19th century biological illustrations, and created in much the same manner. 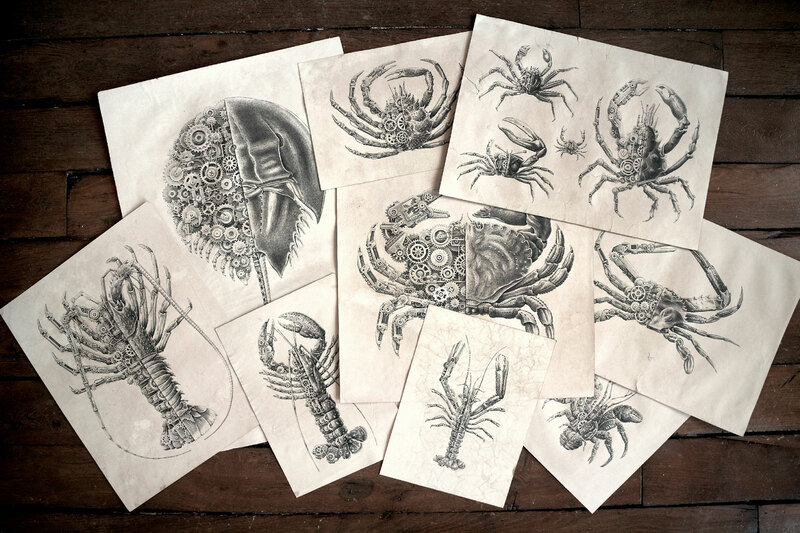 The series comprises nine illustrations, each depicting various species of crabs and lobsters. 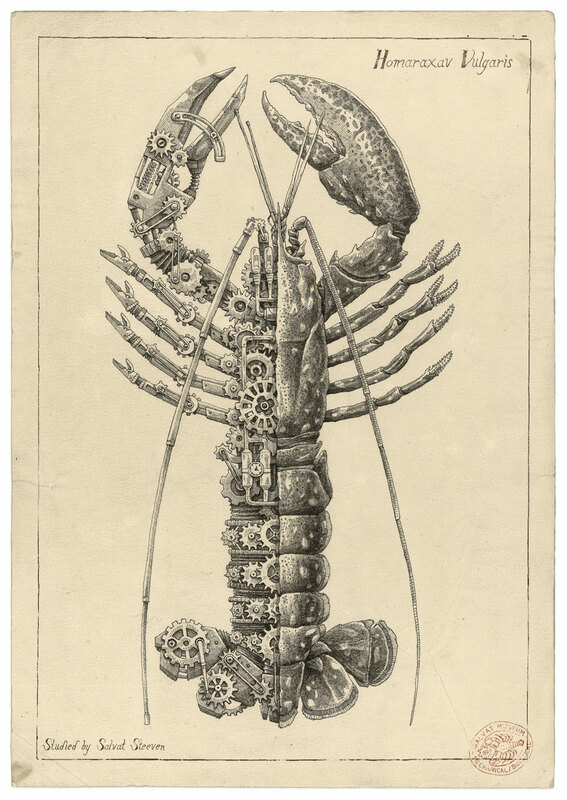 Each crustacean is depicted from a bird’s eye view, with one half shown with the shell removed, revealing an inside of clockwork. Each drawing takes some 30 hours to complete, done on paper Salvat produces himself that’s given an aged look by soaking it in tea. 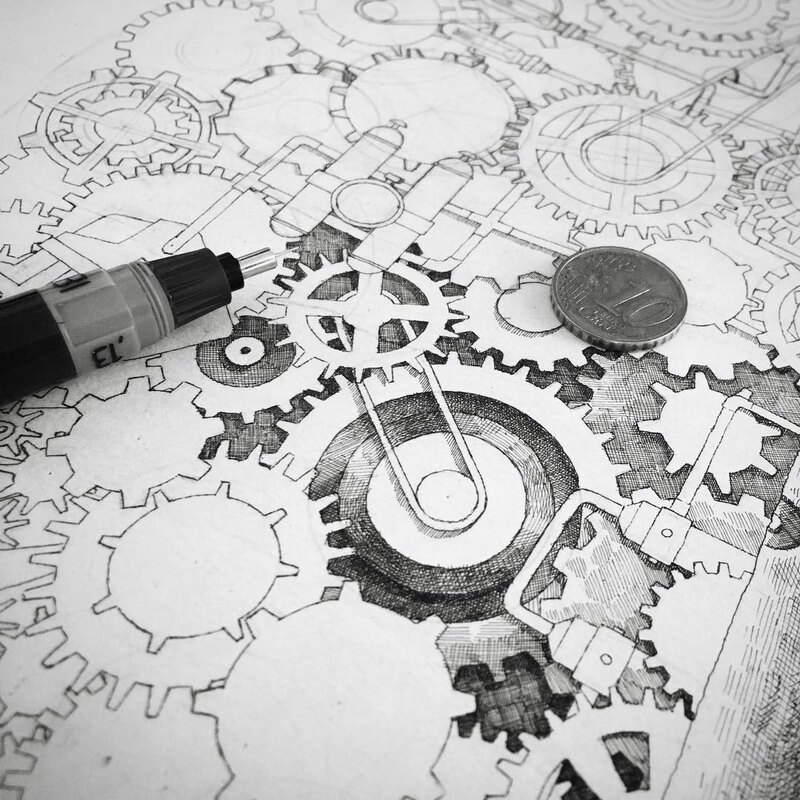 Salvat uses a technical pen, specifically a Rotring Isograph with a 0.13mm tip, to do each drawing in ink. He even devised his own font, Salvat Study, to accompany the illustrations. The font can be downloaded for free. The illustrations range in size and price, starting with Ecrette Clairamour that’s 27.5cm by 20cm and priced at €1000. 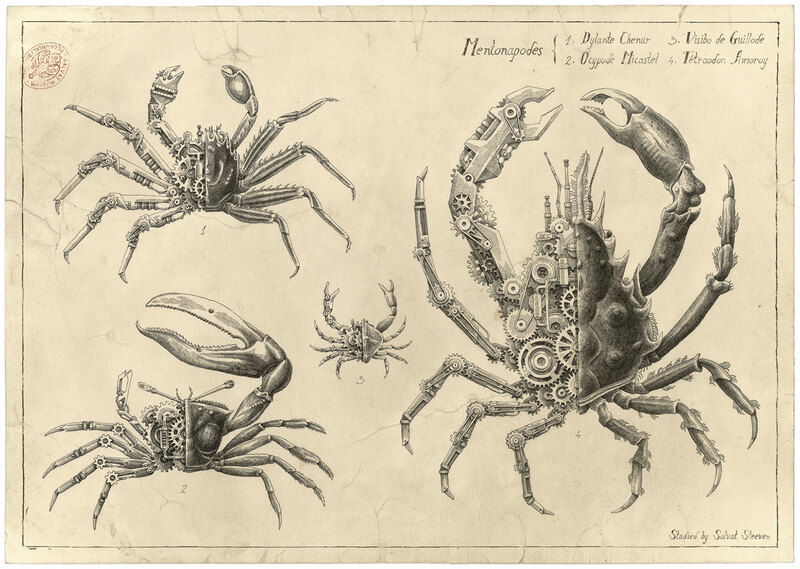 They available direct from Steeven Salvat. The latest addition to the neomatik line, square Tetra is now equipped with the in-house DUW 3001 movement. Specs and pricing below.